The Month of Ramadan has arrived. It brings with it all the present pleasantness along with warm memories of Ramadan gone by. Moving to the city where I grew up makes me all the more walk down the Memory lane. My childhood memories of Ramadan is sitting with my father in the early hours of morning and saying the supplication for fasting. I can never forget the Thirst during the school hours and forgetting all my thirst and hunger once I drank the delicious Iftar(fast breaking time) drink . The Iftar drink my mother made was simply too good and it has found its way in the Iftar table of our family and the second generation, too. It is a Cold Milk based drink in which black Falooda seeds, diced apple and bananas were added. Later, we enriched the recipe by adding Ruh Afza in it. My Father would make a huge tumbler of this and take it along with my brother to the Mosque next door, for the people who would break the fast there. Though there were many a snacks on the Iftar table like samosas,dahi vada,fruit chat from the neighbors,but it is only this drink that was the star and remains so till now. During school holidays, staying up at night till Suhoor(the time of pre-dawn meal),reading and chatting was an exciting thing for us. The Nights in Dubai during the Month of Ramadan were lively right up to early hours of Morning, adding to the festive feature. When stepping out, no one can even imagine the time would be two a.m or more, what with the huge crowd and shopping going on everywhere. I lived for some years with my Grandmother in our village town. Even those days Ramadan was special in many ways. I remember the delicious Jeera rice kanji (porridge) in which I would dip my samosas and have. In the early hours of morning, a drummer will walk drumming a drum to wake the people up for the pre-dawn meal. and nights of the month of Ramadan in prayers and in reading the Quran. We would be joined by our community of our town in India where we lived then, for the early night prayers. In the late hours of night,we would take a break from our prayers and recitation to call our similar zealous friends to find out how many chapters of the Quran they had finished. As we were competing with each others to finish as many chapters as possible. Those years of Ramadan, it was not the food and the shopping which was our Ramadan attraction but it was in spending many a wonderful hours in solitude and with the community in the worship of our Lord. After marriage, the Fasting month brought in a different turn. Hunger pangs and the need of the hour made me enter a new arena, that of Cooking and bring food to the table to feed myself and the better half. Ramadan was no longer just to be immersed in prayers, but I had to spend a reasonable amount of time in the kitchen also! Ramadan in Bangalore where I lived then had festive Ramadan atmosphere in many areas. I would join the City Market mosque for prayers, which had a lovely recitation and spiritual advises thereafter. After finishing these prayers, we would try out the different foods cooking up in restaurants like Imperial and Empire and others. Eid shopping was fun as Commercial Street and Ibrahim Street would be bustling with people doing their shopping as well. To see the Ramadan/Eid atmosphere, a visit to Shivaji Nagar and Ibrahim Street are a must. The Children also have taken enthusiastically to this month without much effort on our part. Even when they were young as the age of four, they have been excited about this Month. Coming to my present Ramadan, the atmosphere here in U.A.E, of mosques everywhere and loud prayers being heard everywhere is electrifying. I am simply enjoying it. The easy accessibility to the Mosques makes it easy for us to join in the Ramadan prayers. 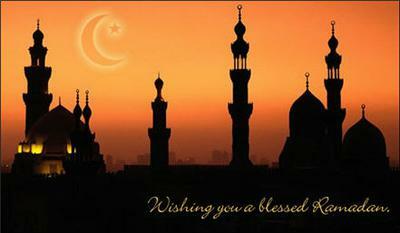 I am looking forward for more Ramadan memories, God willing! A good write up; it gives understanding of the festival to people who donot know about it. A very well written honest account of the festival. Thanks for sharing,Safia. Thanks Meenakshi and Vimala.So glad it was liked. Thanks nogehallipankaja.Thanks for your feed back. Thanks Kami for the feed back!Happy to read your comments. again a well written piece! you have again , like in all your writings, transported us into your story/write ups. like here you have taken me as a reader through different time zones , making us grasp the feelings/experiences you had of this holy month! i really enjoy every writing of yours ! keep writing, i guess everyone awaits your post !